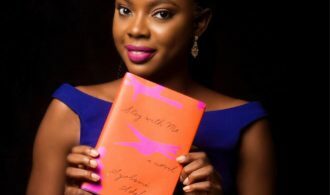 Ayọ̀bámi Adébáyọ̀ has made the Wellcome Book Prize 2018 shortlist for her much loved novel Stay With Me. The announcement was made on March 20, 2018. The Wellcome Book Prize is an annual award, open to new works of fiction or non-fiction that have a central theme that engages with some aspect of medicine, health or illness. This can cover many genres of writing – including crime, romance, popular science, sci fi and history with the winning author receiving £30 000. Previous winners of the prize include Maylis de Kerangal (2017), Suzanne O’Sullivan (2016), Marion Coutts (2015), Andrew Solomon (2014), Thomas Wright (2012), Alice LaPlante (2011), Rebecca Skloot (2010), and Andrea Gillies (2009). When you read this list you will notice the significant lack of African sounding names. There is a chance to change that history with the shortlist that was announced today as there is a familiar name that featured. See if you can identify the African in the running (hint: it’s the one that I put in bold). This isn’t the first prize that this juggernaut of a novel has been in the running having been in the running for some like Dylan Thomas Prize, 9mobile prize for literature, and Baileys Prize. The judges selecting the winner to be announced on April 30th are Hannah Critchlow Neuroscientist, author and presenter, Bryony Gordon Journalist, author and mental health campaigner, Edmund de Waal Artist and writer, Sumit Paul-Choudhury Journalist and Sophie Ratcliffe Writer, critic and academic. thrilled for Ayọ̀bámi. this book has been doing the rounds much like Yewande’s “Bom Boy”. fingers crossed for the win. I really hope she wins it. Great book and great writer. Fingers crossed that she wins!